It’s official, downtown Denver has been invaded with pink. From humble beginnings in the basement of a firehouse to an entire floor of a city skyscraper, Ibotta has made leaps and bounds since our launch in 2012. As the team’s social media guru I’ve had the privilege of documenting this growth, and I can say with confidence that 2016 is our biggest year yet. One of the most notable events to date was our Grand Opening party that we hosted earlier this month, celebrating our new digs with the Denver community. We had an absolute blast! Great Divide Brewing treated us to samplings of their most popular beers throughout the evening, and a few of our Colorado clients (Justin’s, 18 Rabbits, NOOSA, Bella Gluten Free) sent over some snacks to enjoy. Towards the end of the event we raffled off donations from Craftsy, Galvanize, Inspirato, and many more local companies. The prizes were a hit, and one lucky winner even walked away with a trip to Mexico! We also hosted a few honored guests, including our governor, John Hickenlooper. As a company who is especially proud to be built, designed, and based in Denver, it was great to feel the recognition and support from one of our local leaders. We made sure he left decked out in Ibotta gear, and he even joined our Snapchat story for a celebrity selfie. None of this would be possible without our founder and CEO, Bryan Leach. Since day one Bryan has taken an innovative approach to connecting brands, retailers and consumers through mobile technology. As a result he’s created a booming business that continues to grow. This new office is a milestone for Bryan and the entire team, and we couldn’t be more excited for what else the future holds. Does this sound too good to be true? Want to join the Ibotta team? We’re always hiring! Check out our current job openings. Love Ibotta? 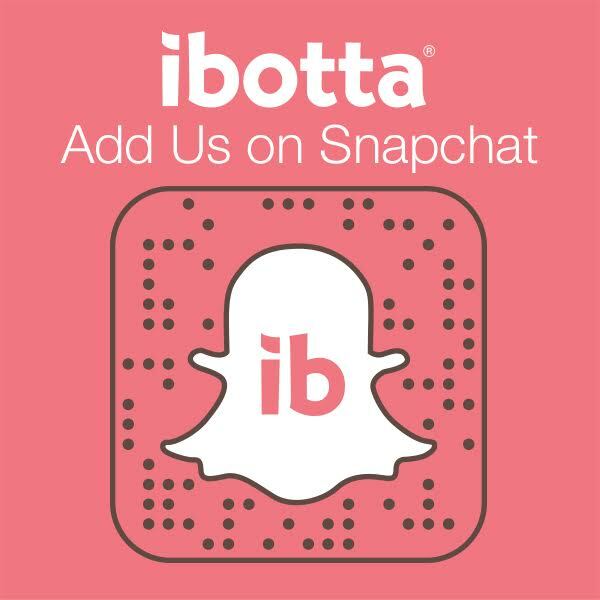 Don’t miss a single moment – add us on Snapchat at “ibottaapp” for company events, updates and special behind-the-scenes moments. Did you know my daughter, Teresa Scanlan Miss America 2011 uses Ibotta? We live just a few hours away in Gering, Nebraska. She now lives in CT. She is such a fan that she got me started!! I have been using Ibotta for several months I currently have $9.50. In my account and I put some in a PayPal account . I like the concept a lot but I’ve been having trouble with your server on several occasions I was not able to connect when I needed to and also my phone would go completely out . I took my phone into the AT&T store do you have a diagnostic run on it and they said they only app they saw that showed any problems to my phone was yours I need to get that $9.50 out of my account I don’t know how to do that since it says $20 minimum for PayPal or any gift cards . I would like to continue using your service but not at this time because of the trouble it has caused my phone is been draining my battery and I had to get a new battery today which cost more than all the money I have saved on Ibotta so far including the $9.50 still in the account . if there is anyway I can obtain the money from my I bou if there is anyway I can obtain the money from my Ibotta account please let me know. Thank you for taking the time to address my concern. Great question! Unfortunately, we are unable to cash out any account for lower than the minimums. However, you can keep your account active by simply redeeming a single rebate within a 12 month period so that you do not accrue any Inactivity Fees. You can also borrow friends and family devices to work up to the minimum cash out amount. We apologize for the issues with your device. Thanks!